Final exams often test the knowledge students have acquired throughout the entire semester and depending on how their finals are weighted, their final exam grades could mean the difference between an A and a C on their transcripts. The ARC offers tips as students prepare for final exams and encourage faculty members to share this information with their students. 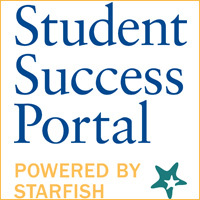 Webster has been using the Student Success Portal, powered by Starfish, beginning mid-October 2017. The site has been reorganized to better organize the guides in the “For Faculty” and “For Advisors & Staff” tabs. Feedback on the Student Success Portal is welcomed. If you’re interested in sharing your comments, please send your feedback to studentsuccess@webster.edu. The Spring 2, 2019, Early Term Progress Survey launches Friday, March 29, and is open for 10 days, closing Monday, April 8, at 11 p.m. CDT. This survey is distributed to all Spring 2 U.S. on-ground and online courses. The Academic Resource Center (ARC) is hosting a demo for a professional online tutoring program, NetTutor. The proposed partnership with NetTutor will supplement the current options within the Tutoring Program. An online demonstration showing of NetTutor is scheduled for Wednesday, March 27, from 3-4:30 p.m., in EAB 137. Anyone interested in joining the session remotely may join via WebEx. The Writing Center and Online Writing Center can give you feedback on your essays and help you improve your writing. We encourage you to use the face-to-face Writing Center whenever possible for real-time feedback and discussion. If you are a graduate student, online student, or a student at an extended or international campus, we encourage you to use the OWC for your writing needs. Our friendly coaches give constructive, holistic feedback on all assignments. 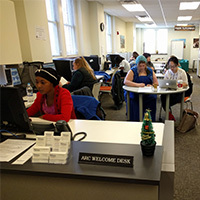 The Academic Resource Center will conduct faculty/staff focus groups to assess its success in meeting the individual program goals of our Testing Center and academic integrity initiatives and programs, our Tutoring Program, and our Writing and Online Writing centers and services. Full-time and adjunct faculty members, as well as staff are invited to attend these focus groups and provide feedback at a session on either Feb. 26, Mar. 7 or Mar. 22. All sessions will be held in the Library, Room 315, and WebEx will be available for those who would like to participate remotely. As of mid-fall 2018, the Academic Resource Center (ARC) guidelines for implementing accommodations for occasional absences due to a medical reason(s) and flexible assignment deadlines have changed. These adjustments were made to create more structure around these accommodations and to ensure that students and faculty are better supported in the implementation of the accommodations. This week is an ideal time to revisit academic counseling and how it can help students. Academic Counseling is a service provided by the Academic Resource Center to all Webster University students across the worldwide Webster University community. Additionally, you and your students may be interested in academic success workshops, which are short, informative sessions on a variety of topics. 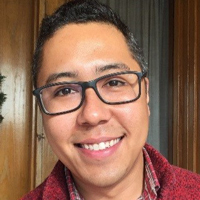 Chris Robinson's last day as Tutoring Program Coordinator in the Academic Resource Center (ARC) will be Friday, Jan. 11, as he leaves Webster to rejoin Teach For America full-time. After Friday, anyone with tutoring needs or questions should contact Carolyn Brown, ARC assistant director, until a new coordinator is named. Well wishers can say farewell to Robinson in the ARC, or by contacting via phone or email. He also continues to teach as an adjunct faculty member. Student Success Portal, powered by Starfish, training is available by request at any time. Additionally, as scheduled training dates are determined, details will be posted in Training on the Student Success Portal website and announced via Webster Today. Many video tutorials and resources are also available in the For Students, For Faculty, and For Advisors & Staff areas of the Student Success Portal website. Overview flyers are also accessible in the For Students and For Faculty tabs. And, the FAQs section of the website contains valuable information.